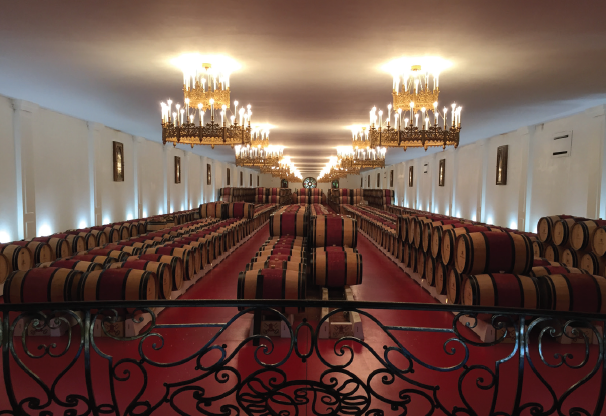 The waters of Bordeaux are opening up to river cruising – and while a Chateau tour is a must-do for connoisseurs of the grape, the city itself just gets better with age. Bordeaux must be the only airport in the world with its own vineyard. I’m not sure I’d want to drink the wine, given the heavy aroma of fuel in the air, but these spindly vines leave you in no doubt: you are entering the empire of the grape. For wine-lovers there is a new way to explore the home of France’s most famous red. Australian-owned APT has chartered AmaWaterways’ AmaDolce to offer week-long cruises on the Garonne, the Dordogne and the Gironde estuary, blending wine-tasting with sightseeing. 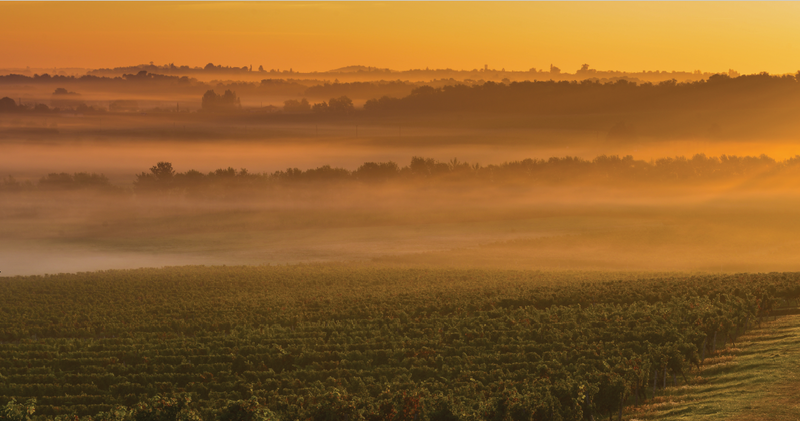 Although this region is packed with historic and gastronomic interest, river cruising from Bordeaux is a relatively recent development. These waters are heavily tidal and tricky to navigate, so distances are short and you don’t spend a lot of time actually sailing. Nor is there much dramatic scenery – just endless vineyards, salty marshes, fishing huts on spindly stilts, and wooded banks punctuated by the occasional hamlet. But if you accept that this is very different from a Rhine or Danube cruise, you’ll love it here. The waterways are broad and the skies enormous, the salt tang of the Atlantic hangs on the breeze – and if you love wine, you’ll be in heaven. I have to admit that I embarked on this holiday as something of a red-wine philistine, preferring a nice glass of chilled rosé or a G&T. I took along a wine-loving girlfriend for insurance but I needn’t have worried. We sailed in spring, a magical time to visit, and I was instantly smitten. The countryside was soft and green, the vines were bursting into leaf and meadows were spread with a fuzz of mauve and white wildflowers. Between the wine estates are magnificent oak forests (wood for the barrels), where dogs forage for truffles and locals hunt wild boar. It’s lovely here in September, too, when the vines are heavy with fruit and there’s a sense of abundance in the air. Essentially, there is no bad time to visit. All the lines operating here offer variations on the same theme – they have to, as there are so few moorings – so choosing between them boils down to what you get on board and what’s offered ashore. APT scores well here. Being Aussie-owned it attracts a mainly Antipodean crowd, so the atmosphere on board is laid-back, with plenty of banter. 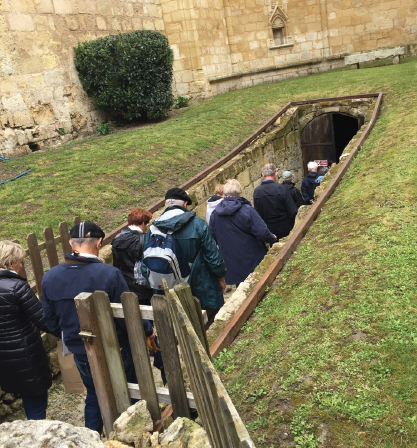 And there is a choice of included excursions most days, including bucket-list trips to magnificent châteaux and legendary wine-producing towns like Pauillac and Saint-Emilion. We wandered round medieval Bergerac, the setting for Edmond Rostand’s play about the lovelorn Cyrano. A fantastic food market sprawls through the city centre, tables groaning with asparagus and strawberries, creamy goat’s cheese and golden Monbazillac wines. It was still early in the season and not too packed with tourists, so the stallholders were generous in letting us sample their wares. We toured the 11th century Château de Cognac, home of Baron Otard Cognac, whose finest blend retails at €3,850 a bottle. An excellent guide brought our visit to life, regaling us with royal gossip and scandals from over the centuries. There are limits to the number of tours you can take before cellar-fatigue sets in, but this one was genuinely interesting and the tasting was intriguing, the honey-like cognac slipping down like a warm fire on a cool spring morning. More unusually, some passengers opted for an afternoon at a sturgeon farm, where part of the tour involves donning waders, getting into the sturgeon pool and catching and holding an enormous fish. The reward is a caviar tasting. In Blaye, my friend and I took two of the ship’s bikes and set off through the vineyards. A cycle trail runs for miles here, almost entirely flat, passing sleepy chateaux and dozing hamlets. The exercise was most welcome; while there’s plenty of walking on a river cruise it’s all at shuffling pace, and I liked the idea of striking out alone for a bit, too. 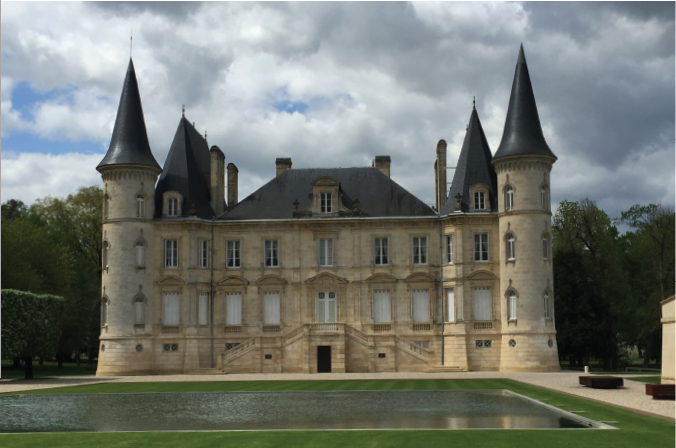 Every APT cruise includes a night ashore, and on the final evening we were whisked off to the gorgeous Château Pape Clément outside Bordeaux, set in the most beautiful gardens and overlooking ancient vineyards. Another cellar tour was a bit too much (although you can’t blame the hosts for wanting to show us round) but dinner in a glass-walled pavilion designed by Gustave Eiffel made up for it – especially as it was washed down with wines from the château. Back on board, APT’s attention to detail is impossible to fault. Our superb cruise director, Emma, didn’t miss a trick. For example, we’d all been coveting the embossed wooden boxes in which top producers present their wines. My single bottle of Pomerol had come in a disappointing plastic bag. But one day, a big pile of boxes appeared in the ship’s lobby. “You’ve drunk all the wine on board so we thought you might like a souvenir,” joked David, the ship’s hotel manager. 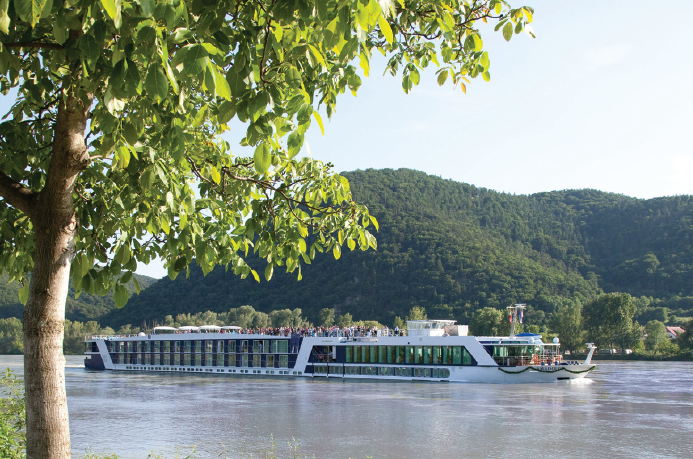 The 148-passenger AmaDolce, built in 2009, is an older ship in today’s river cruising terms, and as such is comfortable rather than dazzling in decor. The food was excellent, from rich soups to French classics and an irresistible cheeseboard, although there weren’t many takers for the frogs’ legs that appeared on the lunch buffet one day. There’s a small tasting restaurant, the Chef’s Table, which you have to book (at no extra cost) and it was outstanding, both for the menu and the fun, like a big dinner party. Entertainment was brought on board most evenings, ranging from a fantastic girl who belted out Edith Piaf and Charles Aznavour numbers to a classical trio who got a standing ovation. The local answer to a group of Morris dancers, though, was met with the same puzzlement as the frogs’ legs. A cruise in this region has two faces: the open countryside and Bordeaux itself, sprawling elegantly along a half-moon curve of the Garonne, all magnificent 18th-century architecture, hidden squares and cafés. Already winning accolades as Europe’s best city break destination, the city continues to up its game. June saw the opening of La Cité du Vin, a cavernous wine-themed attraction that has received rave reviews and will feature on cruise itineraries from now on. It’s easy to explore the city from the dock, and having broken away from the official tour we spent a happy afternoon poking around a vast antiques market and sitting in the sunshine enjoying a glass or two of red. Didn’t take long to convert me, did it? A seven-night cruise, departing September 8, 2016, costs from £3,295 including flights, transfers, airport taxis, drinks, meals, excursions, tips and use of bicycles.